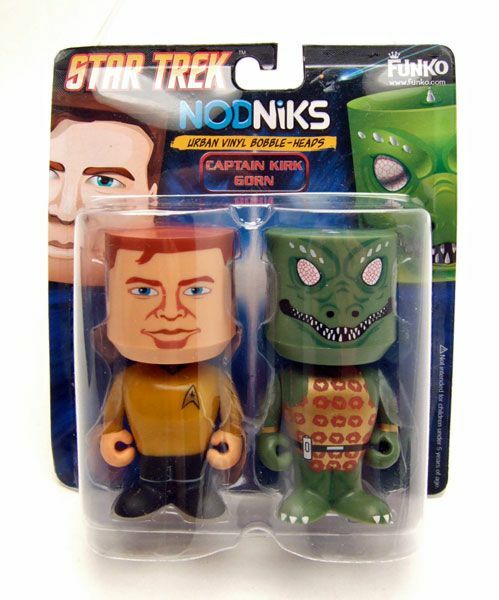 A Piece Of The Action: Star Trek 'Potpourri' Spotlight- Nodniks! The Rundown: Bobble bobble! 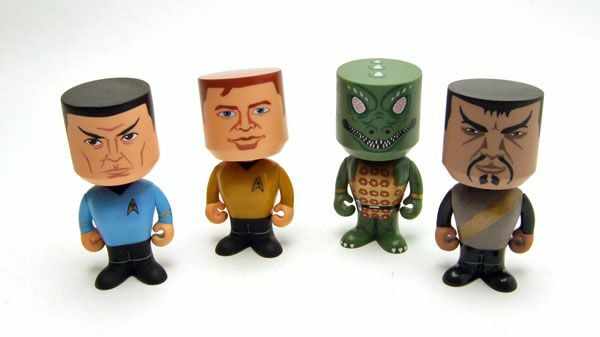 I mentioned in a previous bobbly spotlight that I'm not a huge fan of bobble-heads, but if you are and you prefer something a little on the smaller side...well Funko has just the product for you! 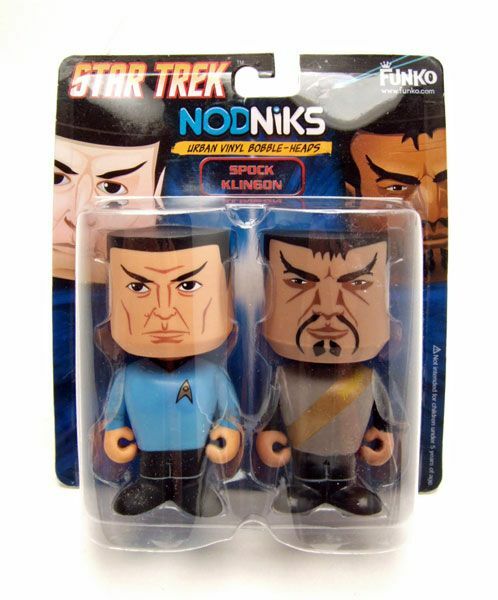 Nodniks are Funko's brand of smaller bobble-heads. 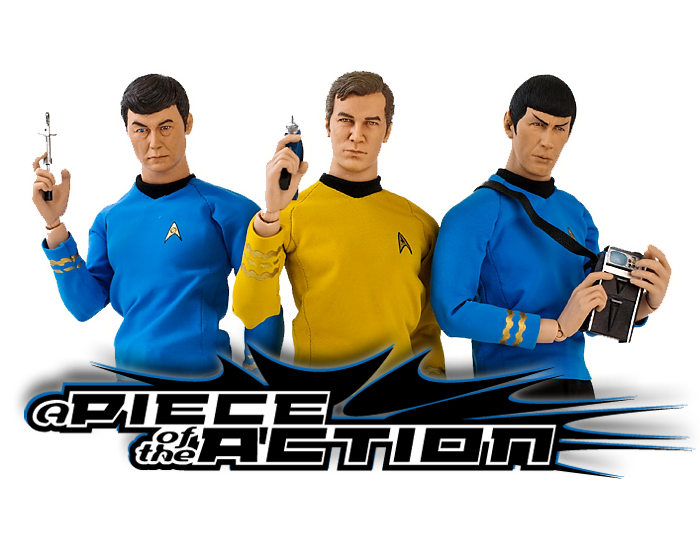 They stand right around 4" tall, have articulated arms and feature non-descript bodies with painted on detailing. 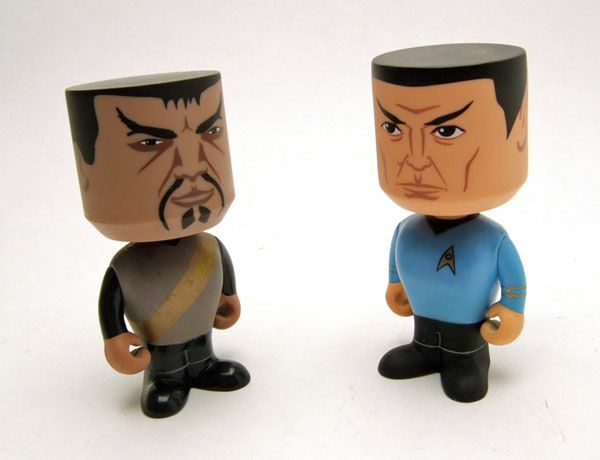 ...while Spock and "Klingon" fill the other slot. I'm fairly certain this Klingon is Kor and I'm not really sure why they didn't label him as such. 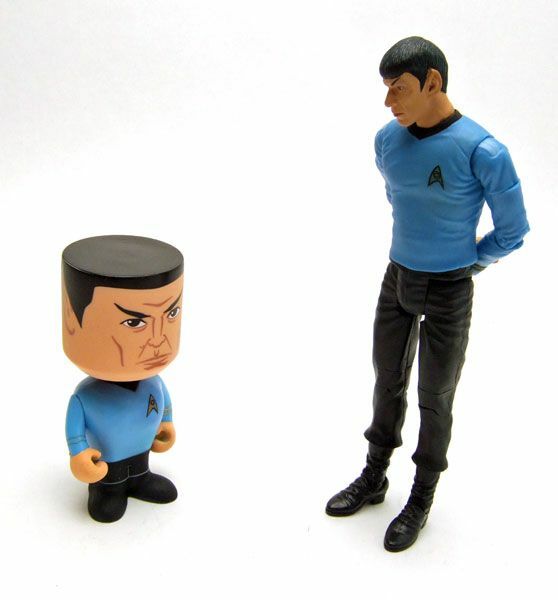 Much like minimates, the likenesses are painted on caricatures of their screen counterparts. 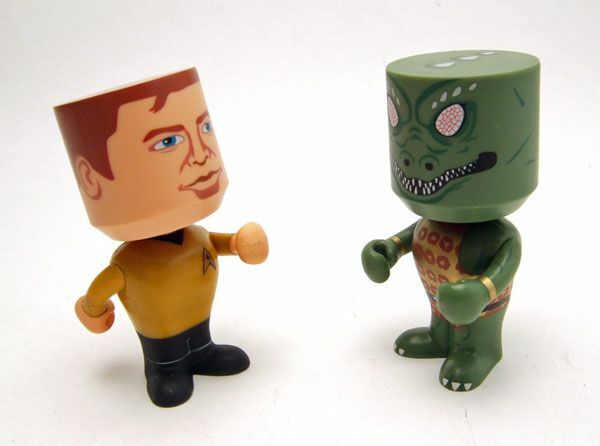 I don't really feel Funko did quite as nice of a job as AA/ DST does on the 'mates line though. The faces just look odd to me for some reason. Maybe they tried a little too hard to make them realistic when they should have 'tooned them up a bit more. So should you get them? If you're a bobble-head fan, of course. But if you aren't (like me), the only real selling point is the price. I paid $7 per pack, making each character only cost a measly $3.50. That's just the right price for an oddity on my desk.